The Women’s Leadership Conference of Southern Oregon strives not only to encourage women to lead; it aims to encourage women to use their voices to ensure leadership opportunities for all. It is with gratitude and enormous respect that we acknowledge our founders. 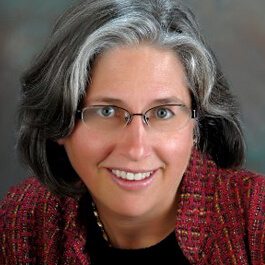 Jeanne Stallman is a Philadelphia native and earned her undergraduate degree from Georgetown University in Washington D.C. before relocating to the Pacific Northwest. She started a small business prior to taking on a “temporary” position at Southern Oregon University in the 1990s. Since then she has worked in multiple capacities at SOU, from planning educational travel adventures, managing capital construction, and developing new academic and non-credit programs. Her strong-suit has always been collaboration and strategic planning: Jeanne has a knack for identifying trends, seeing opportunities, and bringing people together to get work done. As a strategic thinker with strong management experience and a commitment to service, Jeanne’s passion has always been projects that build strong, healthy communities in which individuals have the opportunity and resources to flourish. Her specialties include program planning, financial management & analysis, education administration, and project management. Her work includes serving the mission of Southern Oregon University through educational outreach efforts including professional development, older adult, and pre-college programs, and branch campus operations; building strong relationships between the Southern Oregon University and regional educational institutions, businesses and individuals to create strong community support for higher education in throughout the region. “Leaders listening. That’s how The Women’s Leadership Conference came about.” Jeanne remembers. “I never intended to start a women’s conference, and frankly, had difficulty with the ‘feminist’ label. But when respected, experienced leaders in our community (who happen to be women) expressed a hunger to see more women step into leadership roles, I asked ‘why’ and then asked others if they would work with me to arrive at a solution. I was bowled-over by the response!” And The Women’s Leadership Conference of Southern Oregon was formed. Today, we salute Jeanne for “listening” and her passion to follow-through for all leaders in Southern Oregon and beyond! Katie Hutchinson (formerly Shepard) is an Oregon native, who was raised in Nevada and completed undergrad in business at Hawaii Pacific University. She moved back to southern Oregon in 2001 to be with her family, especially her brother who has special needs. Her career began that summer with Easter Seals Oregon, providing practical experience in nonprofit management, fundraising, and community relations. In 2011, she attended Southern Oregon University full-time, while still serving as the Area Director for Easter Seals, and successfully earned her Masters in Business Administration in ten months. As times were tough for the nonprofit through 2012, Katie saw the need to make a transition. She was ultimately called to Providence and joined Providence Community Health Foundation as Executive Director in November of 2013. She is proud to serve as a strategic partner and connector for donors, board members, physicians, and administrators to ultimately continue the strong mission of the Sisters of Providence. Katie has a passion for community service, and she has especially worked hard to develop meaningful relationships that benefit the community. She is proud to have served as the third lady President of the Rotary Club of Medford and Emcee and President of the Women’s Leadership Conference. Some of her favorite community projects have included: the Mission of Mercy dental clinic; PolioPlus fundraising for Rotary; Dancing with the Rogue Valley Stars for Sparrow Clubs; and building the Nature-playground at Hawthorne Park as part of the Chamber Leadership Class. Outside of work and community service, Katie enjoys family time and the outdoor treasures of the Southern Oregon region. Hiking, backpacking, rafting and running, are the focus of most of her time off but nothing is more important than cheering on her son from sidelines of a South Medford Panther sporting event. Former Executive Director of ACCESS, Schad has worked for more than 30 years with nonprofit agencies in a variety of capacities. 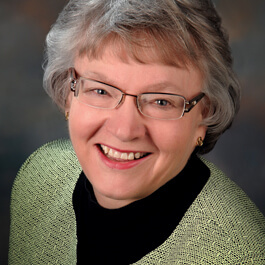 She hasd serve as president of the Medford Rotary Club, was a member of the Southern Oregon Repertory Singers board, and was co-chair of the 2011 Oregon Nonprofit Leaders Conference. Susan Cain joined KPMG Peat Marwick in 1978, retiring as a partner in the San Francisco office in December 1999. While with Peat Marwick she specialized in banking institutions and trust tax services, as well as assuming management responsibilities in human resources and compensation. Cain taught Accounting Studies at Golden Gate University, San Francisco, California from 1983-1985, as well as internal KPMG training and management courses. She graduated with highest honors from Oregon State University, Corvallis, Oregon in 1976 with a BA in General Science. In 2005 she received her Masters in Taxation from the Washington Institute for Graduate Studies and School of Law. Cain is past-Treasurer and past-President of the Board of Directors of the Epilepsy Society of San Francisco, past-President of the San Francisco Chapter of American Woman’s Society of Certified Public Accountants, past-President of the California Society of Certified Public Accountants, San Francisco Chapter, and past local and state Chair of the Committee on Depository Institutions. She received the 1996 Chapter Award for Outstanding Woman in Business in the Bay Area from the American Woman’s Society of CPAs. Cain is currently a Senior Instructor at Southern Oregon University and past-Treasurer of the Board at St. Mary’s School in Medford (after serving as Chairman for two years). She serves as Treasurer of the Board of the Oregon Shakespeare Festival and chairs its Finance Committee. 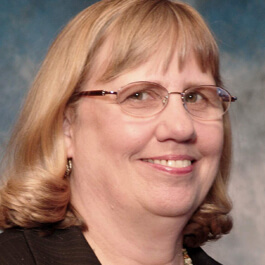 She also serves on the Board of Directors for Lithia Motors, Inc. Susan maintains her membership in the American Institute of Certified Public Accountants and the California Society of Certified Public Accountants. Cain enjoys theatre, reading, and participating in activities with her husband and daughters. Marguerite ODonoghue-Celeste currently serves as the Head of Global Operations with DreamWorks Animation in Los Angeles, CA. The operations team provide the seamless planning framework to monetize all intellectual property within the Entertainment Licensing organization. They design and build the pipeline that enables global 365 day to day commercial operations and the efficient, collaborative execution of the strategic plan. Stakeholders include business/category, creative, facilities, finance, film and television production, franchise, licensee partners, marketing, product development, retail, trade, trade marketing, publicity, treasury, and talent. Marguerite spent ten years with The Walt Disney Company directing global creative operations for Disney Consumer Products. She also supported Barbara Streisand’s tours. 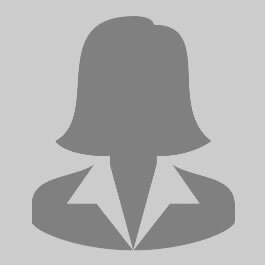 Marguerite is a Certified Scrum Master through the Scrum Alliance, an organization focused on “transforming the world of work” through the use of an agile framework for completing complex initiatives that is currently used by Fortune 500 companies around the world. As president and owner of California Oregon Broadcasting, Inc., Patsy uniquely understands the significance of building an organization that meets the needs of a diverse community. 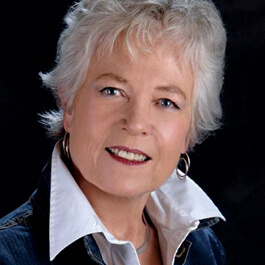 Patsy grew up in Eureka, California and received her Baccalaureate Degree from Oregon State University. Her career in broadcasting, both in front and behind the camera, spans several decades and today includes leadership of five television stations, a cable company based in Central Oregon and a digital HD production company in Medford. She has served as President of the Oregon Association of Broadcasters, President of the Oregon Cable TV Association, and as a board member of the National Association of Broadcasters and the NBC Affiliate Board. 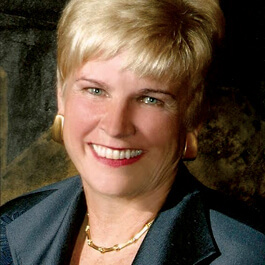 Throughout her career, Patsy has consistently given back to the communities and people served by her company. Dedicated to volunteering, she is a trustee of Willamette University, Oregon/Idaho AAA, The Smart Leadership Council, and The Oregon Shakespeare Festival. Patsy is the recipient of the Medford/Jackson County Chamber of Commerce First Citizen Award and the Governor’s Gold Award. As a Women’s Leadership Conference “Godmother,” Patsy recalls meeting with WLC Founder Jeanne Stallman. “Jeanne didn’t just want to talk about the possibility of The Women’s Leadership Conference, she wanted to execute it,” Patsy recalls. “I was thrilled at the prospect and the rest is history,” she adds. Lyn Hennion is a Private Wealth Advisor and Senior Vice President-Investments of Umpqua Investments, based in Medford, Oregon. Lyn, who started in the business in 1965 as a portfolio analyst with a regional firm in San Francisco, joined Umpqua Investments (formerly known as Strand Atkinson Williams & York) in 1994. Previously, she was a vice president and senior regional manager for the Franklin Templeton mutual funds, based first in Oregon and later in Philadelphia and Washington, DC. 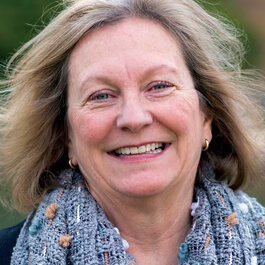 An active community member, Lyn currently serves on the boards of Southern Oregon University, Children’s Institute, Pacific Retirement Services, International Women’s Forum – Oregon, Robert J. and Leona DeArmond Public Foundation and the Buncom Historical Society. She is a member of the investment and audit committees of the Oregon Community Foundation, where she had also served as a board member. In 2015, she was named “First Citizen” by the Chamber of Medford/Jackson County. Worth magazine named Lyn to their list of the “Best Financial Advisers” in the country three times. She was also recognized by Registered Representative magazine as one of 10 “Outstanding Brokers” and is listed in the Guide to America’s Best Financial Planners compiled by the Consumers’ Research Council of America. A graduate of Stanford University, Lyn also completed the Securities Industry Institute at the Wharton School of the University of Pennsylvania and holds the Certified Financial Planner designation. Sue Kupillas is a native Oregonian who has dedicated herself to public service and “blazing trails” for aspiring leaders from all walks of life. Her early volunteer service roles include District 9 School Board member and State President of the Oregon School Boards Association in 1986. And all this while being wife and mom to a blended family which included five children. On an even broader level and further utilizing her own accomplishments, Sue was determined to support aspiring colleagues to obtain greater leadership standing through appointments and committee participation in local government. “It was a challenge,” Sue remembers. “Qualified females weren’t always considered for appointments, and at times lost out to less-skilled male candidates. Eventually, local counties saw more female leadership but it’s still not 1:1, male-to-female. There’s more work to be done,” she adds. Today, Sue remains committed to making a difference in the lives of others. 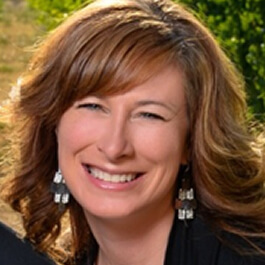 She is the Southern Oregon University Foundation’s Secretary, serves on the Medford/Jackson County Chamber of Commerce Board of Directors, Secretary of the Butte Creek Mill Foundation and is Rogue Valley Manor Board Immediate Past Chair. In 2012, Sue was honored by the March of Dimes with a “White Rose Award” for community service. She also received the Statewide Planning Achievement Award in 1991 and an Outstanding Citizen Award from the Medford/Jackson County Chamber of Commerce. Sue Kupillas carries the distinction of being one of three “Godmothers” to The Women’s Leadership Conference of Southern Oregon. By collaborating with businesswomen Patsy Smullin and Lyn Hennion, the three conceptualized an effort which has grown to include speakers and participants from across the nation for a well-attended annual conference. Combining her passion for art and travel provides Sue a creative outlet these days, especially as she seeks more time for painting workshops, visiting international sites for inspiration, and displaying her paintings in art shows. WLC salutes our “Godmother” Sue Kupillas and we acknowledge her vision, courage, and leadership!